Successful musical theater performers need to be triple threats! You gotta sing, dance and act!!! Class Focuses on the essential dance styles of ballet, jazz and modern and exposes students to a wide range of musical theater repertoire. 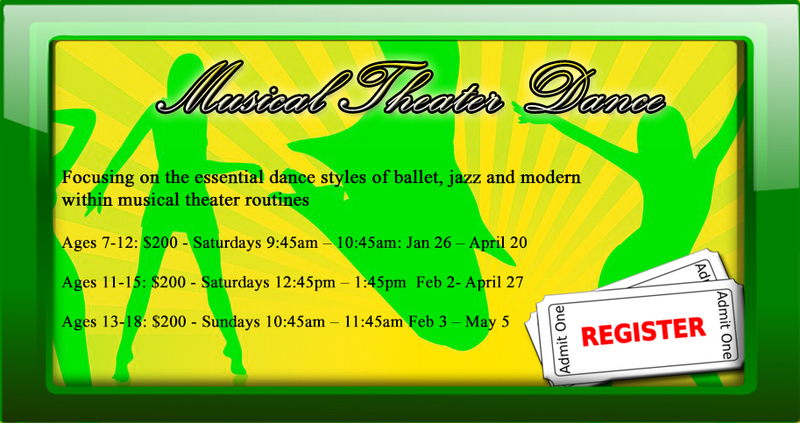 This class will develop your dance vocabulary, technique, and performance skills. Small class size and personal attention with challenges appropriate for all levels from beginning to trained dancers.